Bulgaria Holidays Free Child Places 2019 @Web2travelDeals. Online Since 2000. Finding the Best Value Holidays with Genuine Free Child Places Bulgaria from U.K. airports including Belfast, Doncaster Sheffield, Glasgow, Manchester and London Gatwick. Popular resorts include Duni, Golden Sands, Obzor, Pomorie, Sunny Beach, Tsarevo. New Bulgaria Holidays Free Child Places 2020. Stop wasting time checking website after website, looking for Bulgaria Holidays Free Child Places 2019, only to find that the deal advertised has expired or does not exist. View Holidays Genuine Free Child Places Bulgaria 2019. We understand from reading online reviews, how frustrating it can be for you, when searching for hours for Family Holidays Bulgaria, only to find that the headline deals advertised are only available in May or September or twice the price during the School Holidays. Bulgaria Holidays @Web2travelDeals is designed to save you time and money when searching for Free Child Places Bulgaria 2019. We regularly check with Top Tour Operators to find out which Bulgaria resorts have holidays from the UK to Bulgaria with Free Child Places School Holidays. This post Bulgaria Holidays Free Child Places 2019 shows you hotels and apartments which our team have visited to check that free child places were available during School Holidays, on the date that this post was updated. Get More Information, and claim your Free Child Place Duni Pelican, Duni, Bulgaria. 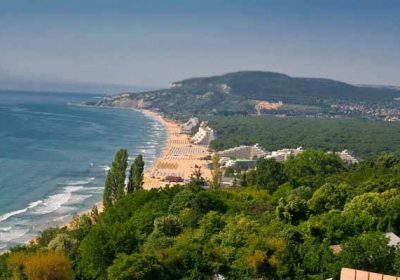 Get More Information and claim your Free Child Place for lti Dolce Vita Sunshine Resort in Golden Sands, Bulgaria. Get More Information and claim your Free Child Place for Riu Astoria in Golden Sands, Bulgaria. Get More Information and claim your Free Child Place for SuneoClub Odessos in Golden Sands. Hotel Riu Helios Bay, Obzor, Bulgaria. 7 Nights All Inclusive £794 p.p. (£2,342 Total family of 4) 1 X FREE CHILD PLACE INCLUDED Dep 05 July 2019, Doncaster Sheffield. Get More Information, and claim your Free Child Place Hotel Riu Helios Bay, Obzor, Bulgaria. Get More Information, and claim your Free Child Place 058340, Obzor, Bulgaria. Get More Information, and claim your Free Child Place Festa Via Pontica, Pomorie, Bulgaria. Get More Information and claim your Free Child Place for Bella Vista Beach Club in Sinemorets, Bulgaria. Get More Information and claim your Free Child Place for ClubHotel Riu Helios Paradise, in St Vlas, Bulgaria. Aqua Nevis Clubhotel, Sunny Beach, Bulgaria. Get More Information, and claim your Free Child Place Aqua Nevis Clubhotel, Sunny Beach, Bulgaria. Get More Information, and claim your Free Child Place Evrika Beach Club Hotel, Sunny Beach, Bulgaria. Hotel Riu Helios, Sunny Beach, Bulgaria. Get More Information, and claim your Free Child Place Hotel Riu Helios, Sunny Beach, Bulgaria. Get More Information, and claim your Free Child Place Hotel Helena Park, Sunny Beach, Bulgaria. Get More Information, and claim your Free Child Place Hotel Majestic Beach, Sunny Beach, Bulgaria. Get More Information, and claim your Free Child Place LION Hotel Sunny Beach, Sunny Beach, Bulgaria. Get More Information and claim your Free Child Place for Poseidon Apartments in Sunny Beach, Bulgaria. Get More Information and claim your Free Child Place for Radoslava Hotel in Sunny Beach, Bulgaria. Get More Information and claim your Free Child Place for Royal Sun Apartments in Sunny Beach, Bulgaria. Get More Information and claim your Free Child Place for Silver Springs in Sunny Beach, Bulgaria. Get More Information and claim your Free Child Place for SuneoClub Garden Nevis in Sunny Beach, Bulgaria. Get More Information, and claim your Free Child Place TUI FAMILY LIFE Nevis Resort, Sunny Beach, Bulgaria. SuneoClub Serenity Bay, Tsarevo, Bulgaria. Get More Information, and claim your Free Child Place SuneoClub Serenity Bay, Tsarevo, Bulgaria.